ExamDiff Pro has a powerful algorithm to determine whether files are text or binary, but it's not perfect: sometimes binary files are treated as text and vice versa. 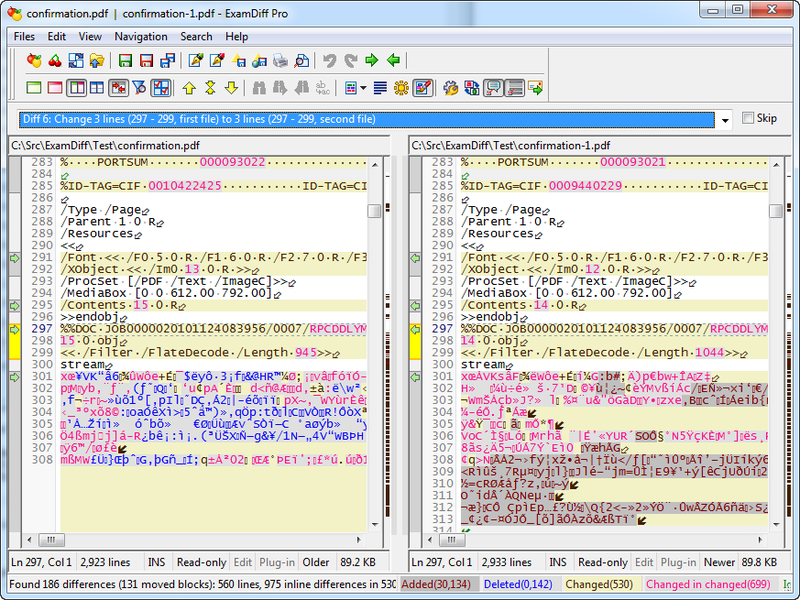 The next version of ExamDiff Pro will introduce a new feature to fine-tune the detection of text and binary files. I could use the Files | Toggle Text/Binary Comparison command, but this is only a short-term solution, because I'd have to use it every time this problem occurs. 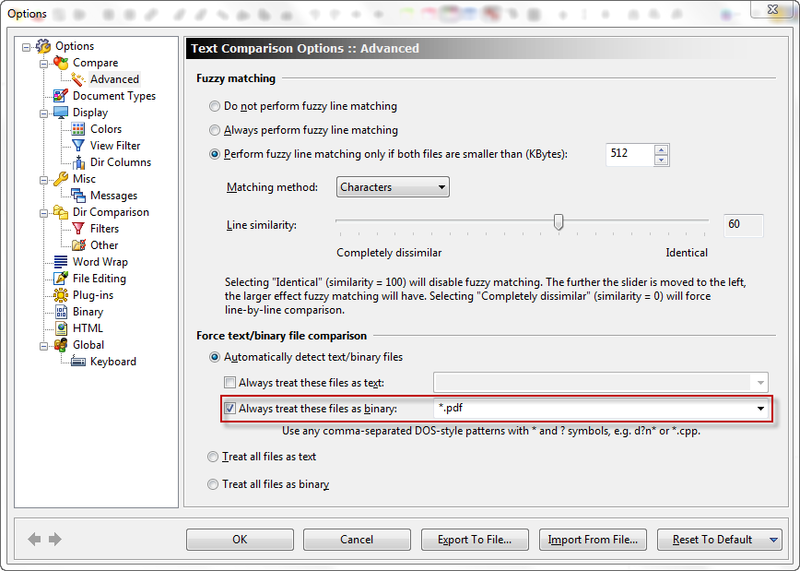 Or I could go to View | Options | Compare | Advanced and select the option to treat all files as binary, but this is also a poor solution, because I'd have to remove this option whenever I compare text files. This has several advantages: in addition to making text/binary determination more accurate, it also speeds the process up, because matching a file to one of these patterns is much faster for ExamDiff Pro than determining whether it is a text or binary file based on its contents. 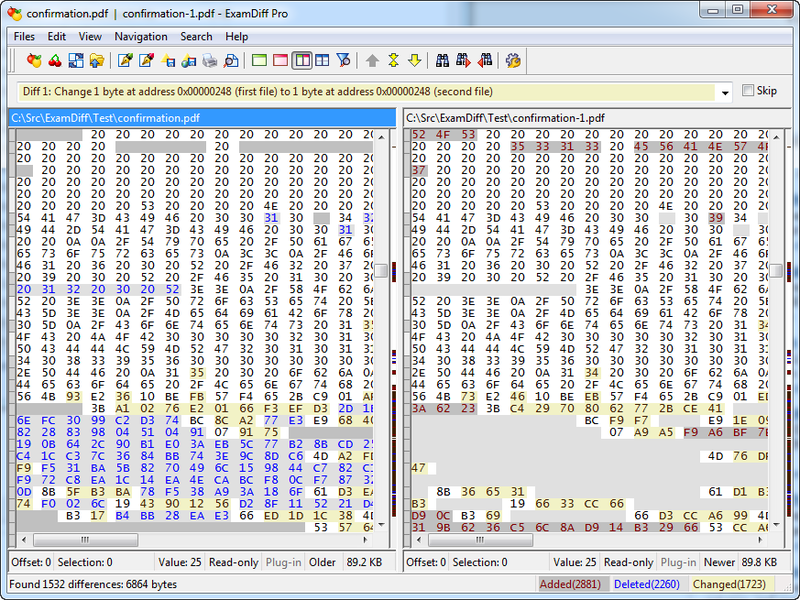 One final note: Because binary comparison is the more specialized application, the Always treat these files as binary takes precedence over the Always treat these files as text option: If a file matches both patterns, it will be treated as binary, and a file treated as text is compared to a file treated as binary, they will both be treated as binary.